Nvidia is getting ready to introduce a new member to its Kepler-based 600 series lineup next month, according to leaked specs detailing an unannounced GeForce GTX 650 Ti graphics card. The new model should fit somewhere in between the $110 GTX 650 and $230 GTX 660 released earlier this month. 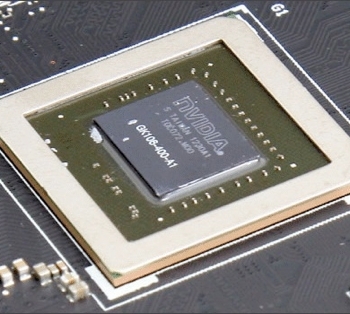 The new GTX 650 Ti will be based on the GK106 -- the same 28nm silicon that powers the GeForce GTX 660 -- but Nvidia has disabled an entire GPC (Graphics Processing Cluster) to bring down the CUDA core count to 576 from 970 on the GTX 660. Texture mapping units also drop from 80 to 48, while ROPs remain the same at 24 and the memory bus width was reduced to 128-bit, with a standard memory configuration of 1GB. The card will feature a core GPU frequency of 960MHz with no Boost clock, while the GDDR5 memory will be clocked at 1350 MHz (5400 MHz effective). In terms of power draw, the GTX 650 Ti will reportedly consume somewhere around 75-85W, but with the addition of a 6-pin PCIe connector the card's maximum TDP is 150W, leaving some room for overclocking. Pricing and availability details aren’t clear at this point, of course, but WCCFtech believes the GeForce GTX 650 Ti will arrive on October 9 priced at around the $149 - $169 mark.